The neighborhood of Poinsettia Heights is one of Fort Lauderdale's most pleasant and sought after places to live. 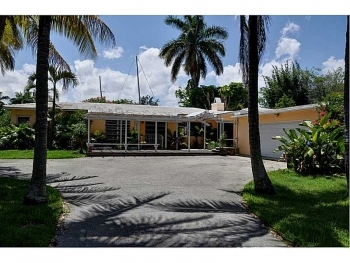 When home shoppers start to look at the Fort Lauderdale real estate market this is must see for those wanting to be close to the beach, excellent shopping and homes with charm and tree shaded streets. It is located just west of Federal Hwy and north of Sunrise Blvd make it very accessible and convenient. Poinsettia Heights is only ten minutes to downtown Fort Lauderdale, the beach, Las Olas and The Galleria. There is a true sense of community and pride for the home owners here that make it appealing. The area had much of the homes built in the 1940's & 1950's with sizes that range from 1,100 to 1,800 sq. feet. Current selling prices start at or around $250,000's (small in sq. 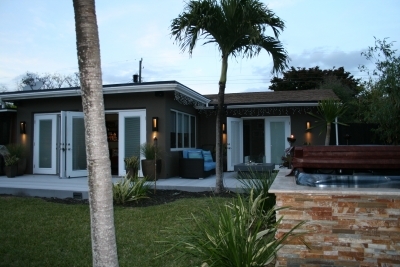 footage and needing some upgrading) and go up to $675,000 for larger homes with pools. For current listed homes in Poinsettia Heights or other information don't hesitate to call or email with inquiries. Fort Lauderdale Real Estate, Fort Lauderdale Realtor, Homes for Sale Fort Lauderdale, Just Sold! 1727 NW 7th Terrace, Fort Lauderdale, FL 33311 Please stop by and view this amazing three bedroom two bathroom home in Fort Lauderdale's Progresso neighborhood. The current owner has really done a stunning job redoing this home and has left nothing for any new home owner to do. With an updated kitchen featuring black granite counter tops, stainless steal appliances and a open floor plan to maximize the space. The bathroom has also be updated as well as the lighting. Don't worry as the roof is only five years old and the A/C is new as well. Last but not least is the outstanding landscaping that has been done in both the back and front yards. Open House this Saturday - August 8th from 12pm-3pm Call Fort Lauderdale realtor Keith Hasting at 305.778.0244 with questions or if you need to schedule another time. This 3 bedroom 2 bathroom home is located on one of the cutest streets that is full of charm and amazing tropical landscape. The current owner has went the extra mile to make this home special and left nothing needed to be done. Roof was done in 2005 and is still like new. Remodeled kitchen with black granite counter tops and SS appliances. Open floor plan with French doors that open up out to a spectacular and unmatched backyard. The backyard has a Key West style outside 2nd shower and open air bathroom. The inside bathroom is updated as well as the lighting. Only ten minutes to downtown and five minutes to Wilton Manors. 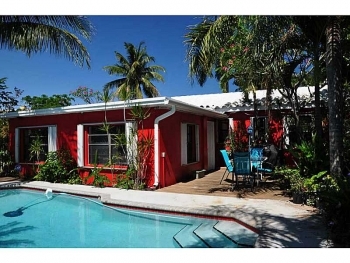 What better way to make this the perfect starter home and at a cost almost next to impossible to find in Fort Lauderdale: list price only $315,000. Not a short sale and at this remarkable price this home won't last. 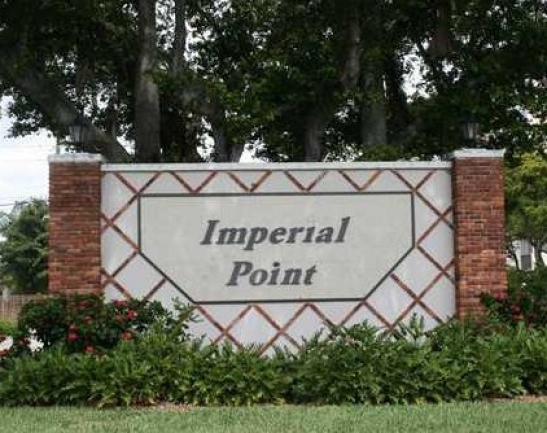 Greater Fort Lauderdale is full of many neighborhoods and has many options for todays home buyers but one neighborhood is particular really stands out: Imperial Point. 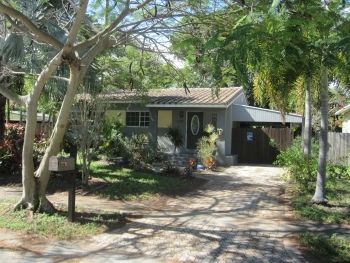 This is one of the most desirable areas to live in the Fort Lauderdale real estate market. Today there are approximately 1,470 homes with well kept streets and tropical landscapes. Located in the northeast corner of the city ( north of N.E 56th Street, east of N.E. 18th Avenue, and south of McNab Road) and is surrounded by excellent shopping and some of the cities top rated schools. Along with good shopping and schools are a excellent variety of restaurants and two of the regions top rated hospitals. In the last 50 years Imperial Point has always managed to maintain its reputation as being a sought after neighborhood and high on any home shoppers list of places to live. This is a community where neighbors stride to help each other and take pride in where they live. Home sizes can range from smaller ones around 1,300 sq. feet and larger homes around 2,700 sq. feet with a median around 1,900 sq. feet. The prices currently start around $320's and top out at or around $625,000 range. There are several streets that have canal front properties and these will sell for even higher. There is still opportunity to find a good deal in Imperial Point. Call Fort Lauderdale realtor Keith Hasting when you are ready to sell for a free no obligation appointment and find out what your home is worth.